This iconic American meal is not something what tourists usually seek in Prague. But they should because you can find many great burger pubs that are worth trying! Whether your stay in Prague is longer and you miss good burgers or you just want to try some of the unique burgers with typical Czech ingredients, check our list! You will enjoy your burger in a beautiful and stylish interior with a great service. Deservedly rated as one of the best burger places Prague, Meat & Great Burgerhouse is located in Senovážné Square, not far from the Wenceslas or Republic Square. We recommend to make a reservation as this place is very popular and it is very likely you will have to wait for a table especially during lunch time. You can choose from a number of reasonably priced burgers, all of them offering very interesting mix of ingredients. Check their menu! 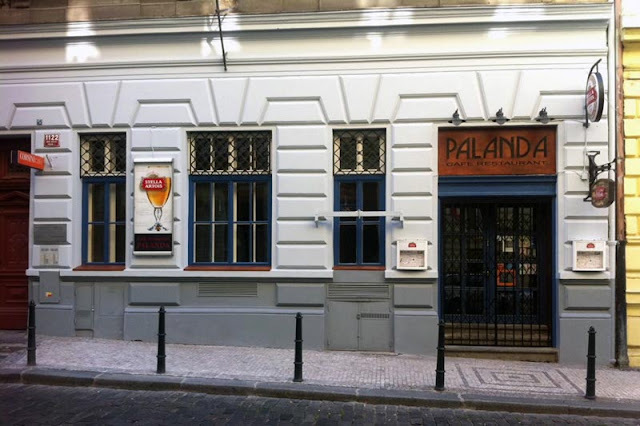 Café Palanda is located in Zlatnická street not far from the Republic Square. 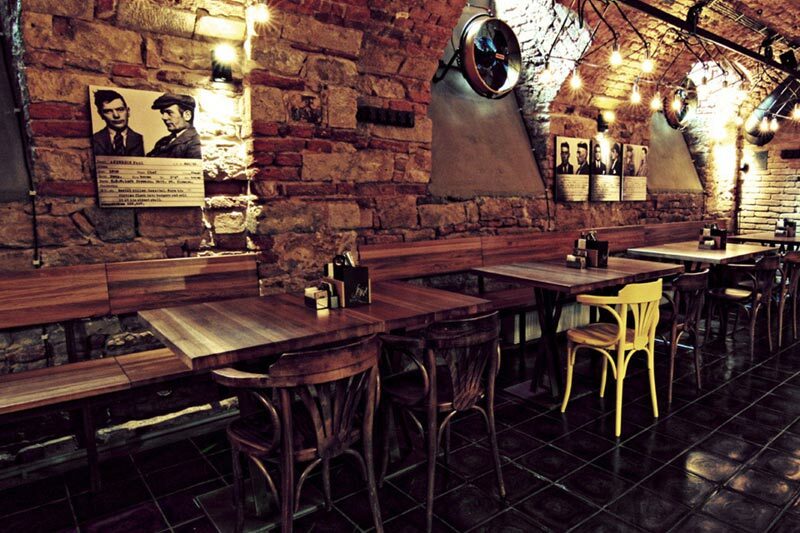 It is one of the best known and most popular burger pubs in Prague so don't forget to book a table in advance. For their burgers they use only fresh ingredients - the best Czech beef, buns from a small Prague bakery, delicious Dutch potatoes for fries or vegetables from Czech farmers. Try their Royal Bacon Cheese Burger, Pulled Pork Sandwich, Spicy Brie Burger or other tasty burgers. As a bonus, the service is quick and very friendly! 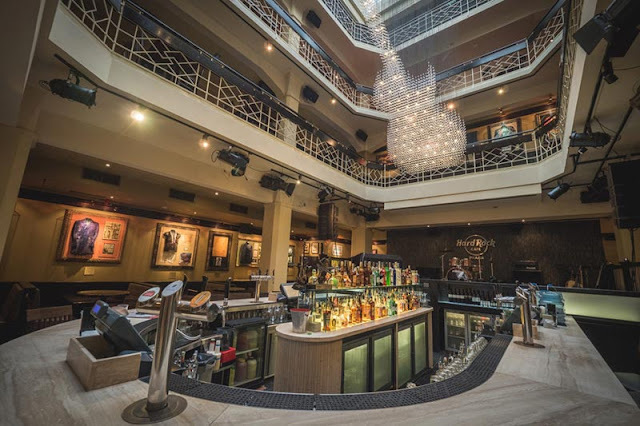 You have probably visited many Hard Rock Cafés all over the world but this one is very special as it is one of the largest in Europe. It is situated in a beautiful historical house "U Rotta", just a minute from the Old Town Square. You will be impressed by a stunning guitar shaped chandelier! Burgers in Hard Rock Café are a bit pricey but definitely delicious and unique. You can get one of their signature burgers or one special Czech burger. If you are lucky you may taste also World Burger Tour burgers but this event is quite rare. Only 3 minutes' walk from our Residence Karolina and the Narodní street you will find this original and stylish burger pub. You will love the basement styled interior with posters of criminals. Their burgers are large and delicious - classic Ultra Bacon Burger, spicy Jalapeño & Habanero or excellent White Rabbit Burger? Do not hesitate to try their onion rings or beef carpaccio. We recommend to make a reservation as it can get quite busy! Sometimes you must pay a little extra for a great quality but when you taste burgers in T.G.I. Friday's you won't regret. Their burgers are just perfect. Also great atmosphere and very nice service make it one of the best burger places in Prague. As the first T.G.I. Friday's in Prague it was opened in 1997 in famous Na Příkopě street connecting Wenceslas and Republic Squares. Don't forget to taste their signature cocktails. As the name hints, in this burger pub you won't get just delicious burgers but also a great beer. It is located in Karlovo Square, not far from the Dancing House or the New Town Hall, from our Residence Karolina it is a nice 12 minutes' walk. You can choose from many burgers with original names for a great price! You will love Čížburger, Obr Bobr, Farmář Véna or Pipi Burger! Their buns are always fresh, made in a bakery 5 minutes from here. You can also order tasty ribs, pork knee or steaks. The interior is nice and cozy. 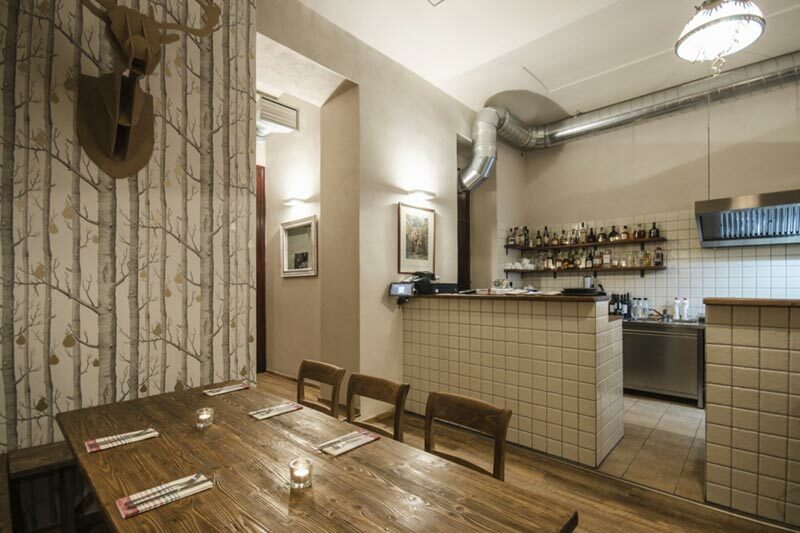 Just off the center of Prague, in Vinohrady district, you will find this fine burger bistro. Located close to Náměstí Míru (tram 22 from the National Theatre stop) in Římská street, for many locals this is the right place to taste the best burger in Prague. The interior is divided into two parts - in the front one you can watch your burger being prepared, the second one is quieter and cozier. They offer more than 10 types of burgers, all of the very special and delicious. Try Koza Nostra with goat cheese, Kahuna with serrano ham and pineapple salsa or Savory with portobello mushroom! Don't forget to make a reservation in advance. 8. Mozaika Burger & Co.
Another great burger place in Vinohrady district is Mozaika Burger & Co. in Nitranská street near the Jiřího z Poděbrad metro station (green line A, four stops from the Staroměstská station). In a stylish interior you can get one of six burgers including one for vegetarians. Choose from a classic size (170g of meat) or a slider (85g of meat). Their burgers are quite unique - Chilli Con Carne with pulled beef, Hell with chorizo and spicy salsa or Lamb with... well, lamb. Don't forget to try a great beer from Matuška brewery which is brewed not far from Prague. If you go to Smíchov district, you shouldn't miss Bejzment, very nice burger pub, just 10 minutes' walk form the Dancing House. They are proud to serve real American burgers in a really stylish American interior. Their burgers are quite reasonably priced and very uniquely named - Hustej Mexikán (Cool Mexican), Big Fet Amerikán (Big Fat American) or simpy Švestka (Plum). You can also get delicious sandwiches and other specials. Great experience! 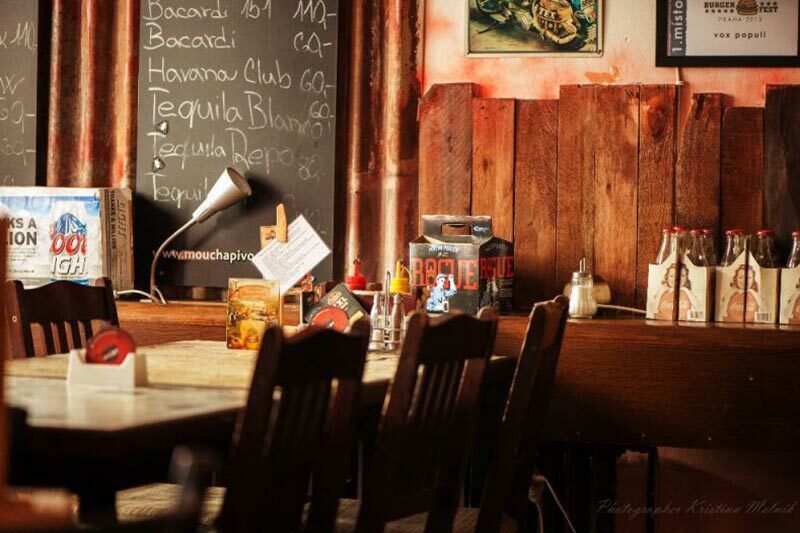 In Vinohrady district, just next to the Riegrovy sady park you will find The Tavern, a lovely burger pub owned by Lori from Kentucky and Dean from Washington. The best way to get there is to go by tram No. 9, get off at Husinecká stop and take a nice walk to Riegrovy sady. They offer around eight classic burgers and three vege burgers, also delicious. You can also try their house-smoked specialties or party snacks. And if you get a beer from Ježek brewery or one of their cocktails, it will be an unforgettable visit! 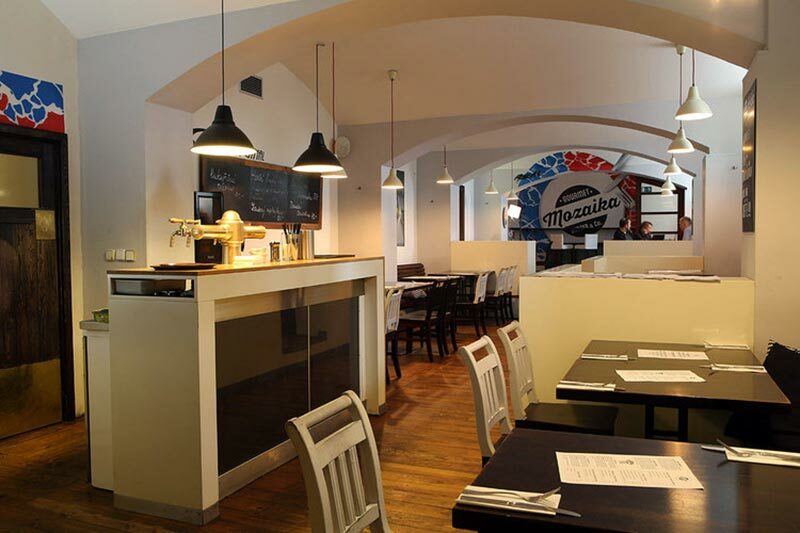 In Prague you can find many other excellent places serving delicious burgers. But they are often pretty far from the city center. 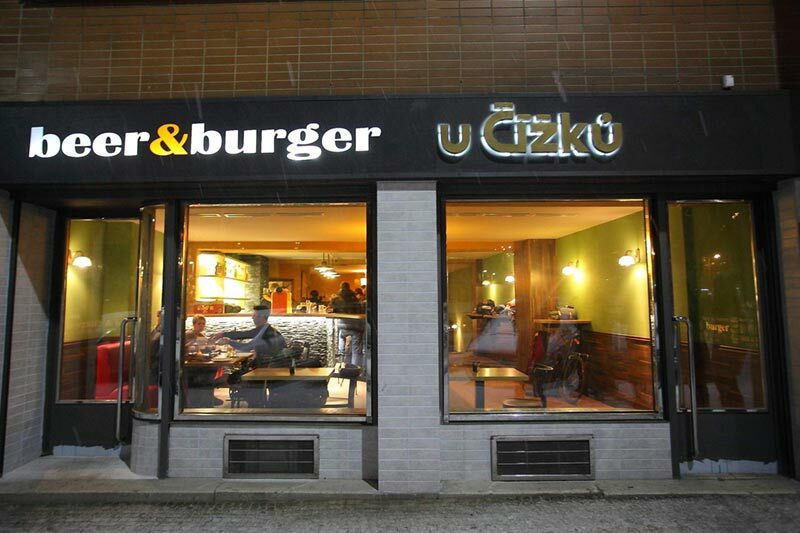 For example Burger Bar in Prague - Nebušice or Domyno Burger Bar in Prague - Lhotka. You can also try Peter's Burger Pub in Karlín district. 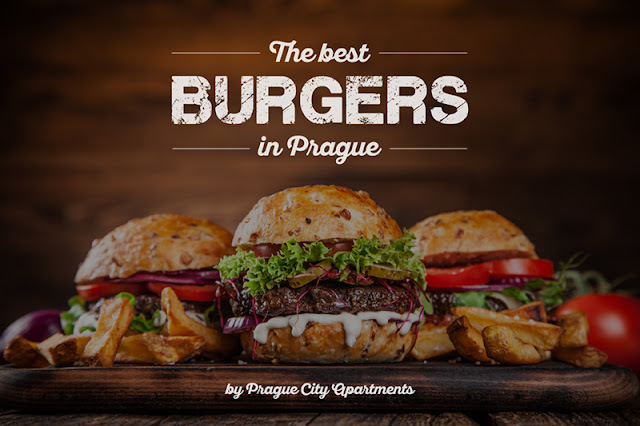 Do you know any other great burger places in Prague? Let us know in comments!